Often, performing a workout regularly is hard to sustain when you are not having fun. It's important to start an exercise routine that interest you and is truly engaging. Although there are many forms of work-outs and exercises available, Zumba fitness class in Canton, MA is still one that is preferred by many. Dancing is a fun and effective way to lose weight. This is why many love to engage in Zumba fitness. Exercising as you sway and party on the dance floor is more fun than walking or running in-place on a treadmill. It is full body workout that targets all the muscle groups. It promotes flexibility, strength and endurance with every move you execute. This workout can also improve your metabolism to better meet your daily energy expenditure. Furthermore, joining a Zumba fitness class can help you unload stress as you dance away all the negative energy from your body. 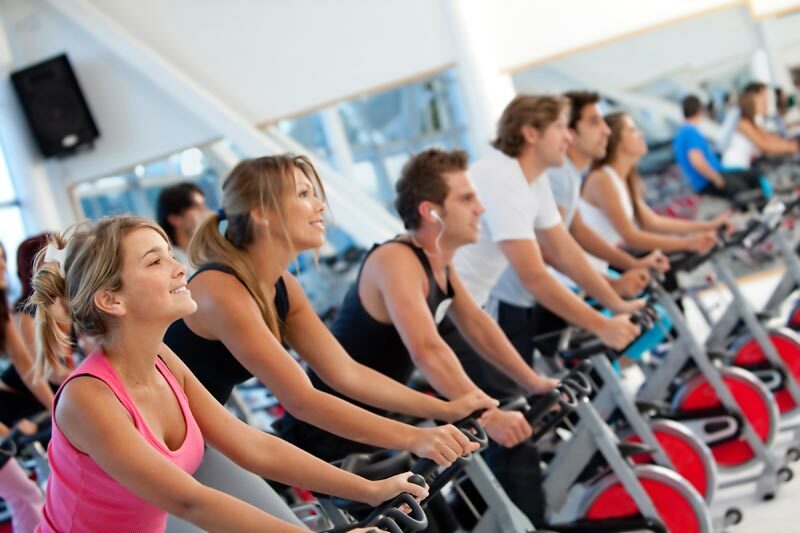 Also, the class can be a place where you enjoy exercising with your friends or make new acquaintances. To find out more about the benefits of this workout, contact Answer is Fitness. Many health and fitness experts know and understand the multitude of benefits of Pilates. However, we would like more people fully understand just how beneficial Pilates can be to an individual. Pilates is that it was developed to benefit both men and women and designed for anyone, from beginners to advanced practitioners. With a number of potential exercises and numerous ways to make modifications, Pilates exercises can be tailored to individual needs. Pilates classes in Canton, MA promote strength and balanced muscle development as well as flexibility and increased range of motion for joints. It works the body as an integrated whole. This workout develops a strong core, improves posture, and supports efficient movement patterns. Good posture is a reflection of good alignment supported by a strong core. With the proper placement of spine and pelvis, the frame of the body is supported so your body can move freely, and the rest of the muscles and joints are freed to do their jobs without causing stress and stiffness. Additionally, Pilates improves your mental quality and emotional health. The smooth, steady movements can relax your mind, soothe your nervous system, improve circulation, and dissolve tension away so you’ll become calmed, balanced, and rejuvenated after each workout session. Weight loss through Pilates can be achieved by performing resistance training to tone muscles. Other than it increases your muscle tone, Pilates will strengthen your body, preparing it for the more dynamic calorie burning work outs. Adding muscle and reducing fat will impact your basal metabolic rate in a positive way. The more muscle you add, the more calories you will burn at rest. A woman’s body is vastly different from a man’s which is why the needs and requirements are not the same. A women’s pursuit to become fit needs to be approached a little bit differently than that of a man. This further substantiates that women’s fitness programs must be distinctive and dedicated to catering to the specific needs of women. Our Women-only fitness club in Canton, MA has customized workouts that concentrate on the particular areas of the body that allow women to get the full benefit. Because women are interested in sculpting, shaping and toning, a good workout program specially formulated for women will embrace this goal and help them work towards it. Whether you want to lose fat or trim inches, this specifically designed program will concentrate heavily on cardio and strength training exercise routines that work towards burning fat and toning muscles. A solid but balanced cardio workout coupled with light strength exercises is a healthy way to get in shape safely. Having a certified personal trainer specific to women's fitness to guide you is also helpful. They can strategically develop a program with women’s personal training routines allowing you to achieve your weight loss goals faster. Performing these exercises the smart way ensures that you can develop a consistent approach to living a healthier lifestyle. A lot of people who are new to fitness want to begin exercising but don’t know which fitness program is best. They are bombarded with numerous fitness programs but receive little guidance on how to initiate the process. Group exercise offers a workout for all fitness levels, ranging from beginner to advanced, and is strategically designed by certified instructors making these classes more beneficial for people with limited knowledge and skill in regards to safe and effective exercise programming. A common reason why people quit an exercise program is because of boredom. Group exercise classes in Canton, MA offer a variety of class formats to keep you motivated and interested. The various fitness programs appeal to participants because of their diversity and different workout styles, music, and interaction with other participants. With music playing, changing exercise routines, and the social atmosphere provided by group exercise, participants will have a fun and fulfilling experience that will go by quickly. Furthermore, a certified group exercise trainer not only designs the components of the workout, but also the intensity. This ensures the class is designed properly to improve overall fitness. These exercise programs offer a variety of exercise formats such as STEP aerobics, indoor cycling, kickboxing, yoga, Pilates and more. Regardless of your passion, fitness level, or interest, group exercise offers an outlet for people to become healthy and physically active with others while having fun!